There are huge benefits in starting baby swimming early. Skin to skin contact is an essential part of bonding with your baby and the soothing effects of the water can calm the most unsettled child within minutes. At Splash About they passionately believe in baby swimming and are experts in manufacturing and designing products to make your life easier. From the famous Happy Nappy to keeping warm in chilly pools, they have the solution for you and your baby. The New Improved Happy Nappy from Splash About, is the first ergonomic swim nappy ever created, maximising security against faecal leaks through its form fitting, shape and design. The New and Improved Happy Nappy by Splash About is the most reliable swim nappy in the world. Insisted upon by swim schools, pool owners and leisure facilities globally to help protect other babies and swimmers from faecal accidents into the water. 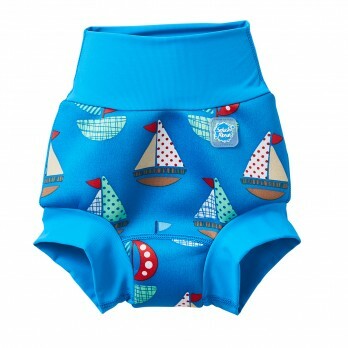 Super soft neoprene is shaped into two back pieces, which cup the baby’s bottom. These are held securely in place by a gusset, whilst specialist waist and leg fabric grips comfortably yet snugly to your child’s body. Ensuring that no matter how they move and twist in the water there is gaping. The front rib of the nappy is designed to roll gently down under the tummy button to form a seal against the neoprene. 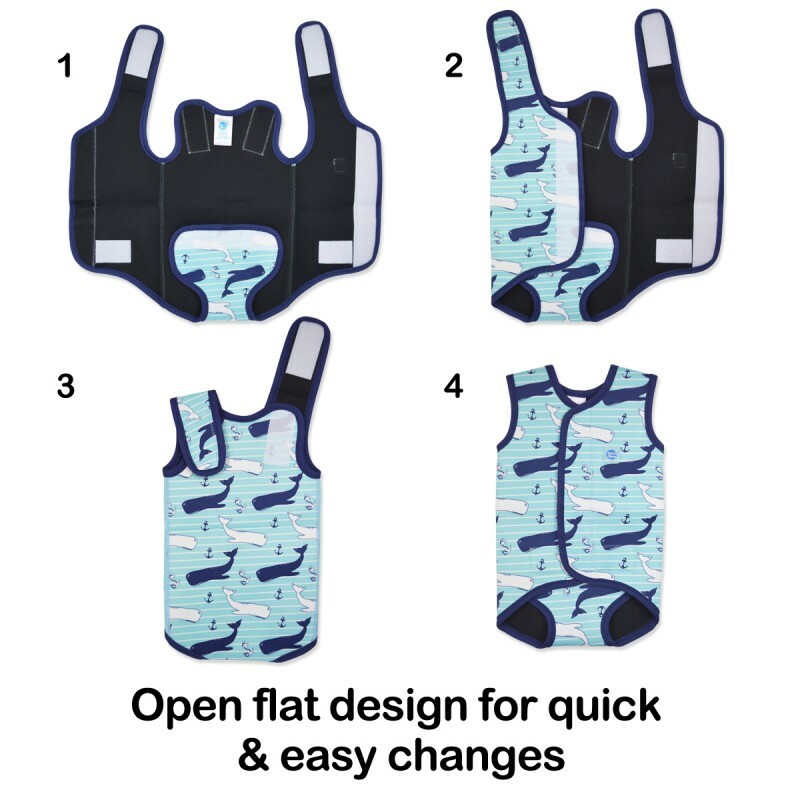 Splash About have created this ergonomically form fitting nappy to be secure yet comfortable no matter how hard they play and kick in the water. To keep babies and other swimmers safe in the pool ensure you wear the new Improved Happy Nappy from Splash About – changing the world one bottom at a time. Keeping babies and toddlers warm in water is the best way to ensure they enjoy their time in the water while learning to swim. The Splash About BabyWrap is made from premium super soft quality neoprene with wide Velcro adjustable fastenings for a secure and flexible fit. Specially designed and engineered to open completely flat, the BabyWrap is the wetsuit of choice for wriggly babies and toddlers as it ensures core body temperature is maintained while in the pool. For added peace of mind, the nonslip neoprene helps give a more secure grip when holding baby in the water . Keep baby warmer for longer, in a range of sizes from 0 – 30 months. Next article Joie are super excited to give away the chance for you to win a set of our LBP platinum award winning products worth RRP £650. Joie are super excited to give away the chance for you to win a set of our LBP platinum award winning products worth RRP £650.